The first polls have closed in some eastern states, but voting is still under way across the rest of the US. 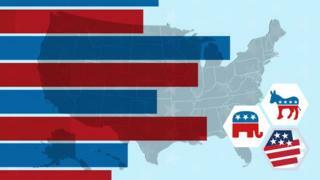 Americans are electing 35 senators in 33 states, as well as all 435 members of the House of Representatives. The Republican Party currently controls both the Senate and the House. Click on the box below for detailed results as they come in, provided by AP.